George Zoul. Veterans of the Abraham Lincoln Brigade Photograph Collection; ALBA Photo 15; Series I Photographs 1930s-1990s, Box 3, Folder 97. Tamiment Library/Robert F. Wagner Labor Archives. Elmer Holmes Bobst Library, 70 Washington Square South, New York, NY 10012, New York University Libraries. Compiling a biographical entry for a volunteer often involves a complicated process of locating data points from a wide variety of sources and assembling them into a coherent structure. George Zoul’s entry took several years to assemble. In 2012, I ran an internet query on George Zoul a volunteer on whom I had very little information. I came a across a link to a blog by Gordon Stettinius a photographer and historian, who coincidentally lives in Richmond, Virginia, my hometown. 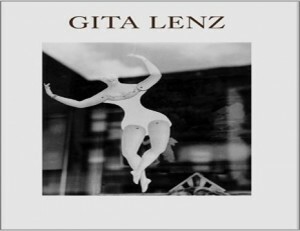 Stettinius was working on a book featuring photographs by Gita Lenz who had been married to Zoul. [i] On his blog, Stettinius noted that Zoul was “shot in combat and was buried in Spain.” He further noted that he needed “to figure out her timeline with her marriage to George and his service in the Lincoln Brigade.”[ii] I wrote to Stettinius to see if he had uncovered any additional information since that post . While he did not have any data on Zoul that was not included in his blog or Gita Lenz Photographs, [iii] I added Zoul to the honor roll of those killed in Spain. Later, I found more information to include in Zoul’s biographical sketch utilizing records from Ancestry.com and the Russian State Archive of Socio-Political History (RGASPI). This information included his: date of birth, parent’s names, date of his marriage, marital status, service with the Lincoln Battalion, and return information. 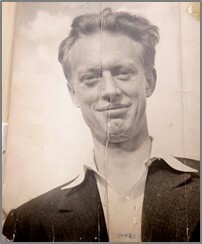 [iv] Zoul’s date of birth was listed on passenger records from the Caledonia when he returned to the US on September 13, 1937. The record also listed Zoul’s parents as Vincent and Mary Zoul who were Czechoslovakian immigrants. [v] Using his date of birth I found a match for a George Zoul who lived on the West Coast and died in June 1954. From this information, I concluded that Zoul was definitely not killed in Spain and appeared to have moved to the west coast and put his past behind him. [vi] I later found that I had followed the thread for a different George Zoul. My parents are Czech. I speak Czech fluently, and I’m hoping to be transferred to the Czech Squadron of the RAF. … For more than a year, I’ve been with a field ambulance outfit – and, after Spain, it seems a little tame. This war is taking a long time—if they’d let me be a pilot – I could help finish it! The Captain of the Port of Gibraltar reported the recovery of Zoul’s remains to the American Consulate. A representative of the Consulate attended the inquest and issued a report that indicated that Zoul’s effects included fifteen Spanish Pesetas and a silver ring which were forwarded to the State Department with his report. [x] The State Department attempted to contact his next of kin. A letter addressed to his ex-wife Gita Zoul was returned to the State Department marked un-deliverable. 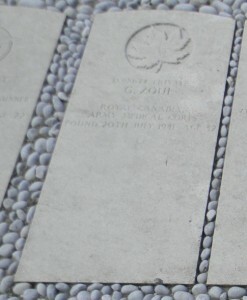 [xi] Zoul is buried in the Gibraltar Cemetery, Gibraltar, Plot 2, Row D. Joint grave 9. See Zoul’s database entry here. Zoul’s Grave marker in the Gibraltar Cemetery reads: “D98674 Private G. Zoul of the Royal Canadian Army Medical Corps Found 20th July 1941 Age 32” Find a Grave #18484887. [i] Gordon Stettinius blog http://gitalenz.blogspot.com/. Gertrude Maslow married Zoul in 1931. By the time Zoul sailed for Spain they were either separated or divorced. Gita married a second time in 1940 to Richard Lenz. Her second marriage was also unsuccessful and they were divorced 18 months later. 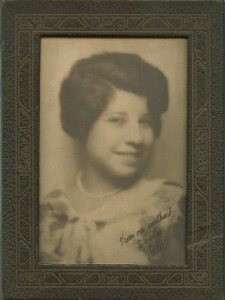 Gita Maslow lived and worked in NYC. She had a promising career in Photographer and her work was shown at the Museum of Modern Art in 1955. She stopped working on her art in the early 1960s but remained active in the arts community. Gordon Stettinius met her at a gallery exhibit of his photography and later was asked to help preserve her photographs after she moved into an assisted living facility. He published a book of her photographs through Candela Books, a publishing imprint he started for the purpose. [iii] Gordon Stettinius to Brooks, email, 10/18/2012. [vi] Adolph Ross’s Americans in the Spanish Civil War does not list Zoul as being killed in action. [vii] Canadian Active Service Force Attestation Paper, Ancestry. [ix] Page 2 of report by George Alexander Armstrong, American Consul [page 1 not present], Ancestry. [x] Report by George Alexander Armstrong, Foreign Service Officer, having informal jurisdiction over the Gibraltar Consulate, Ancestry. [xi] Department of State to Mrs. Gita Zoul, 166 State Street, Brooklyn, New York, October 2, 1941. The letter was returned to sender by the Brooklyn NY post office as undeliverable as addressed stamped February 9, 1942.; Zoul listed his mother as his next-of-kin on his enlistment papers (Canadian Active Service Force Attestation Paper) so it is likely that she was informed of his death.